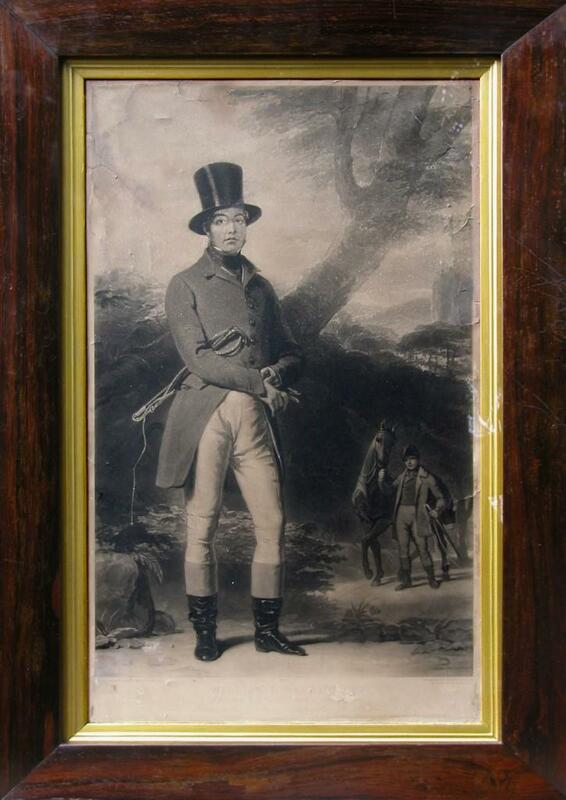 This is a print of an engraving made by Thomas Lupton in 1845 showing the dashing figure of William Ramsay of Barnton MP, skilled horseman, landowner and Conservative politician who gave his name to Barnton Street, Stirling. When Ramsay was still an infant, his father died, making him ‘the richest commoner in Scotland’ at that time. At the age of 22, at the suggestion of his relative, Thomas Stirling of Airth, he became Tory MP for Stirlingshire in 1831-2. He vigorously opposed parliamentary reform. The Stirling Race Course died with William Ramsay, and was later developed as a golf course. This print has been restored with funding from the Friends of the Smith and can be seen in the Stirling Smith Art Gallery and Museum.